Downhill bike hire from Nevis Cycles at Nevis Range. Bikes for the 'extreme' or 'severe' graded tracks like the World Cup Downhill course at Nevis Range (open early May to mid September). 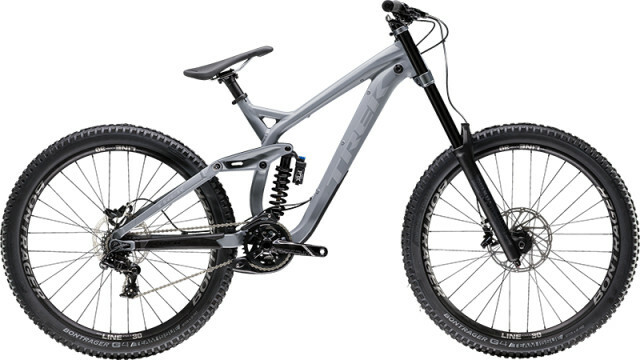 If you are riding the gondola-accessed Top Chief Black trail, we'd recommend our Trek Remedy 7 enduro bikes. Delivery to Glencoe Mountain also available on request. Our fleet for 2019 includes the World Cup winning Trek Session: £120 for a day package of bike, armour and full face helmet or £90 if you have your own protective gear.